A lot happens in seven years in any facet of the world: societal interests, cultural inclinations, political traumas. On a personal level those changes can manifest many times fold in comparison. 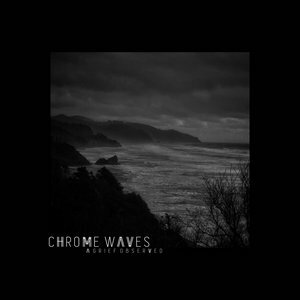 Seven years ago (approximately) was the last time Chrome Waves graced us, their self-titled EP dropping that summer when yours truly was finding his way writing for this site when it still operated under the Blistering banner (and used assorted forms of social media). Much has changed, for the band as much as any of us. As is often the case A Grief Observed caught me by surprise. Only vaguely being aware of Jeff Wilson’s departure from Wolvhammer in late 2018, I subsequently missed the pair of singles released late last year by the band, including a fantastic cover of a signature Slowdive song in “When The Sun Hits”. Wilson remains companioned by drummer Bob Fouts but vocal duties have changed considerably. Gone are the signature shrieks of Stavros Giannopoulos and in his place the dual hats of harsh and clean vocals alike are handled by James Benson (of Amiensus fame). And handled they are. Musically A Grief Observed comes off a lot closer to Wolvhammer’s 2011 album The Obsidian Plains than Chrome Waves’ own debut EP: the emotional heft remains heavy but the delivery is more cutting. Black metal sections are more pronounced when they appear (and that’s frequently) but the post and gaze elements are more refined than ever but less dominant in the songwriting. “Burdened” employs and weaves all of these aspects of the band with aplomb, ashy and grimy low descents giving over to stunning forays into the melodic. Often these forays hinge entirely on the clean vocals of Mr. Benson: they’re a game changer and that really can’t be emphasized enough. Melancholy has long been an element of the band’s sound (at least as much as it could be through the initial EP) and that has only grown more pronounced with A Grief Observed. Like as not the album title serves as a portal (whether literal or metaphorical) into its creation, as an experience it is a visceral embodiment of the many elements of grief: anxiety, despair, panic, suffocation. Though many points of light dot its contours, album closer “Open Casket” has none of it, giving a pronounced sense of finality that is, for lack of a better term, cathartic. 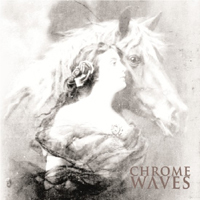 Whatever the genesis of A Grief Observed, it is hopefully a sign that this time around Chrome Waves is now with us to stay. Seven more years of silence would be unbearable.